The Willard R. Tipple Memorial Award is presented to those individuals that have demonstrated a stead fast dedication to the CDC and its core values. The award is named after Mr. Tipple, who served as a council member for the Village of Byesville and as a founding member and past board of directors president of the CDC . 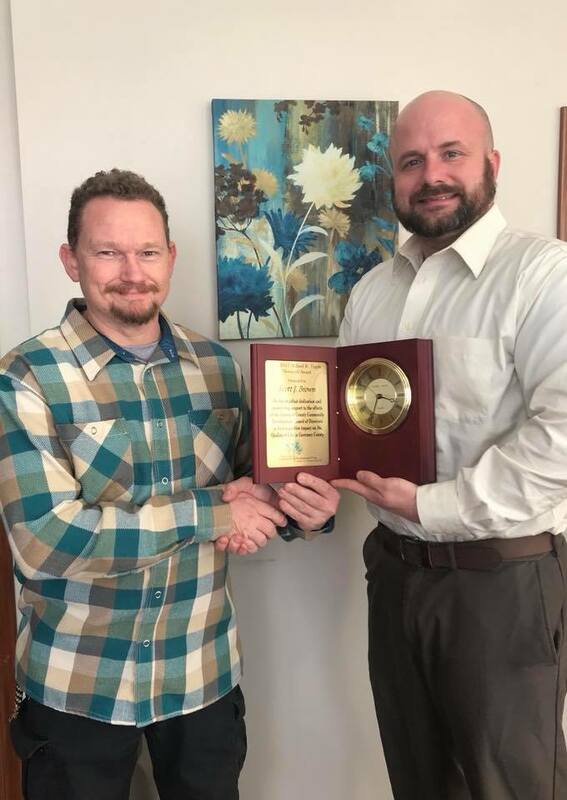 Individuals nominated for this award have shown a desire to improve the quality of life for Guernsey County residents while volunteering and/or donating to the CDC. 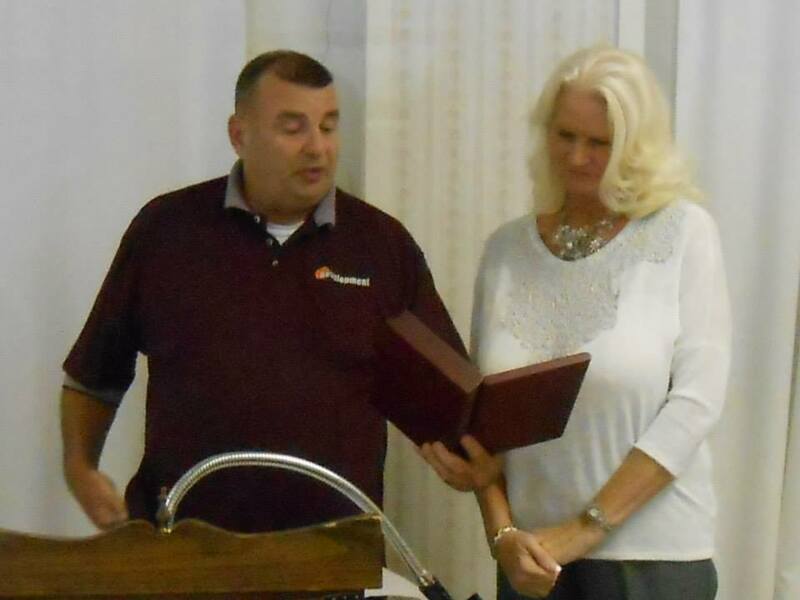 The Guernsey County Community Development Corporation presented the 2012 Willard R. Tipple Memorial Award to Dave Gombeda (pictured here with his wife Kim). Dave is a founding member of the CDC and served on the board of directors for over 10 years. He is also a longtime Jackson Township trustee, having served for over 30 years. Dave also previously served as Guernsey County Commissioner where he took interests in veteran’s affairs and the local dog pound. 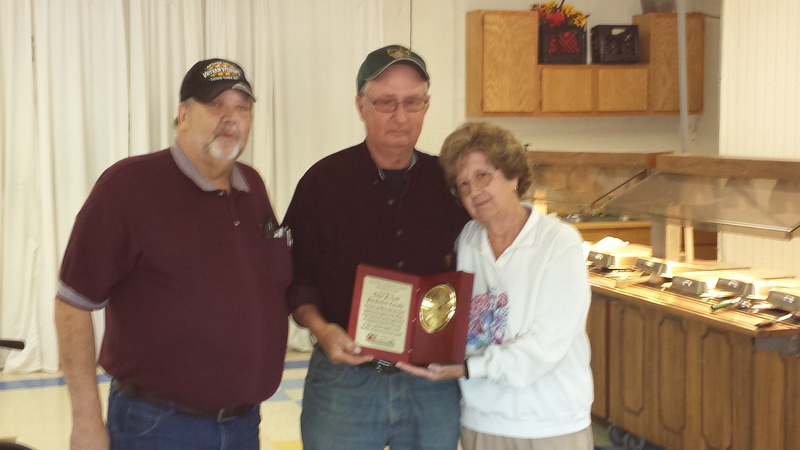 The Guernsey County Community Development Corporation proudly presented the 2013 Willard R. Tipple Memorial Award to Dave and Gail Bartholow and family. The Bartholow's have been longtime financial contributors to the CDC and its many programs. 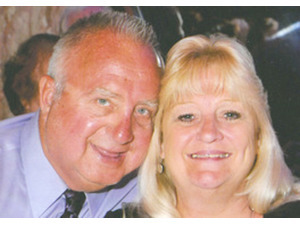 In addition Dave and Gail are small business owners and active in a variety of local causes and organizations. The Guernsey County Community Development Corporation proudly presented the 2014 Willard R. Tipple Memorial Award to Sharon Carpenter of Lore City. Sharon is a former board member of the CDC and served as a past president of our board of directors. In addition to her service to the CDC she has held office as the fiscal officer of Lore City for over a decade. Sharon was also instrumental in developing the Great Guernsey Trail and helped raise funds for its maintenance by holding the annual Great Guernsey Trail Banquet. Executive Director Ron Gombeda of The Guernsey County Community Development Corporation proudly presents the 2015 Willard R. Tipple Memorial Award to Lloyd and Brenda Mcgilton and family. The McGilton's are longtime financial supporters of the CDC, the Great Guernsey Trail and are active in a variety of organizations throughout the county and are also small business owners. The 2017 recipient of the Willard R. Tipple Memorial Award is local businessman Scott J. Brown. Mr. Brown is the owner and operator of Local Net Plus, a technology company specializing in video security, computer sales and service as well as general technology consulting and he also serves as the Chairman of the Guernsey County friends of the NRA. 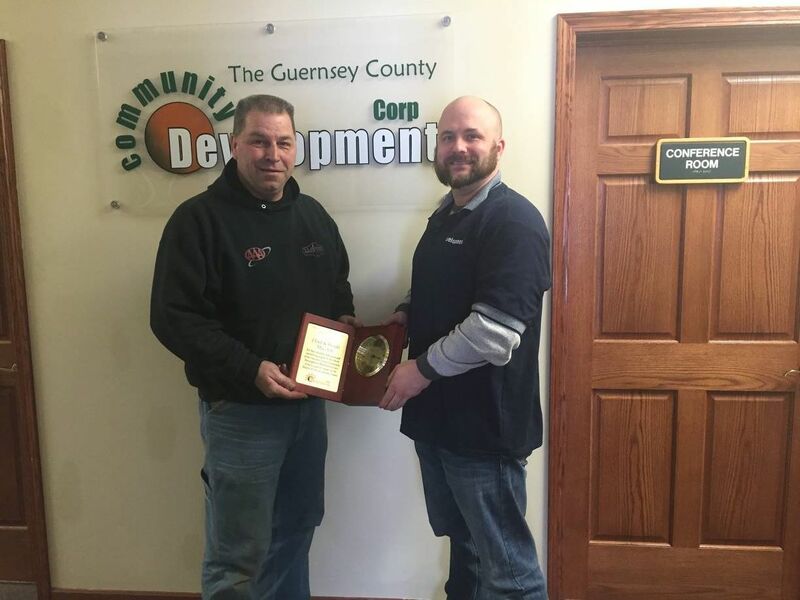 During the course of the past two years Scott has been an active and dedicated supporter of the CDC and has been instrumental in the growth of our Guernsey County Sportsman’s Bash. He frequently sponsors many of our events such as the Great Guernsey Trail Banquet, our Great Guernsey Trail Signage Revitalization Project and is an annual donor to our Military Veterans Transportation Service. The CDC is extremely grateful for all that Scott does for our organization and we are thrilled to honor him with this year’s award! 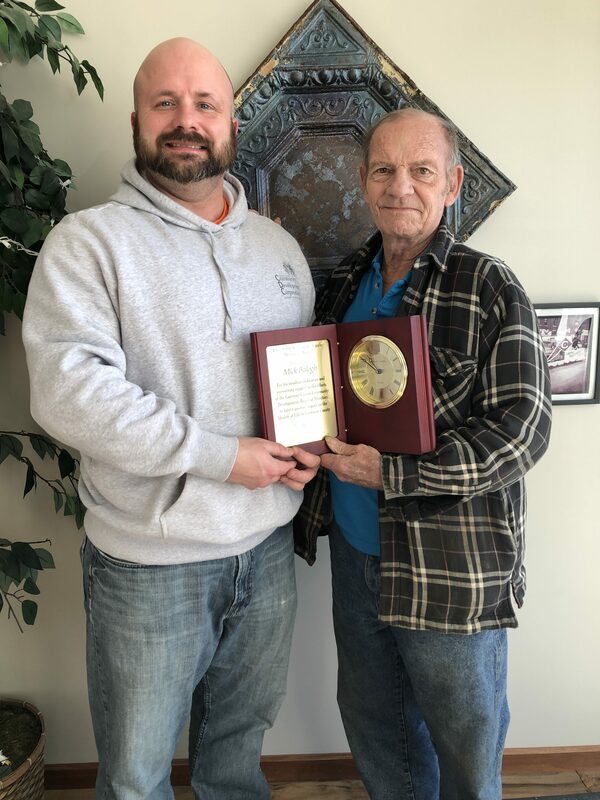 The 2018 recipient of the Willard R. Tipple Memorial Award is Senecaville resident Mick Balogh. Mick is a retired Air Force veteran and is active in a number of local organizations, events and projects. During the past several years Mick has been an active and dedicated supporter of the CDC. He frequently donates to the CDC and supports many of our events such as the Great Guernsey Trail Banquet, our Guernsey County Sportsman's Bash and has donated dozens of bicycles to our yearly toy collection for Secret Santa. He was also a supporter of our 2018 Lids for Kids Bicycle Helmet Giveaway. The Willard R. Tipple Memorial Award is presented to those individuals that have demonstrated a stead fast dedication to the CDC and its core values. The award is named after Mr. Tipple, who served as a council member for the Village of Byesville and as a founding member and past board of directors president of the CDC . Individuals nominated for this award have shown a desire to improve the quality of life for Guernsey County residents while volunteering and/or donating to the CDC. The CDC is extremely grateful for all that Mick does for our organization and we are thrilled to honor him with this year’s award! 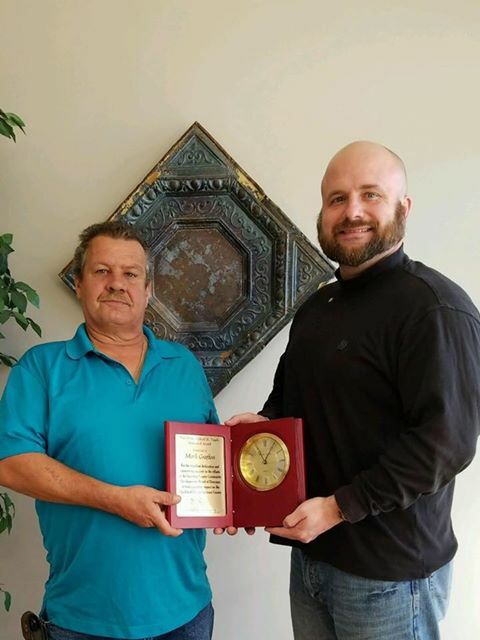 Pictured here presenting Mick with the award is the CDC's Executive Director Ron Gombeda.